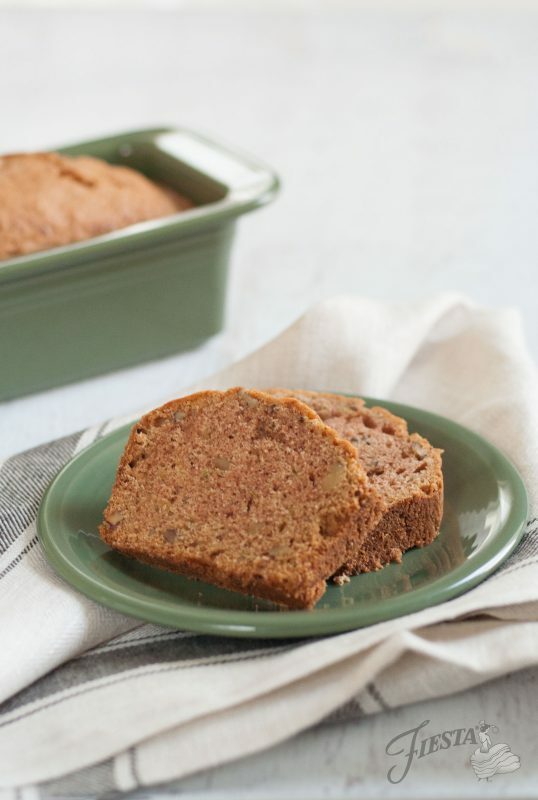 A delicious zucchini bread recipe baked in our Fiesta Loaf Pan, just in time for the warmer months. 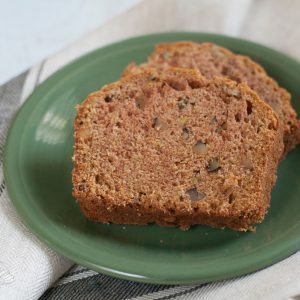 We’re not quite sure why National Zucchini Bread Day was placed in the month of April, while zucchinis proliferate in July. 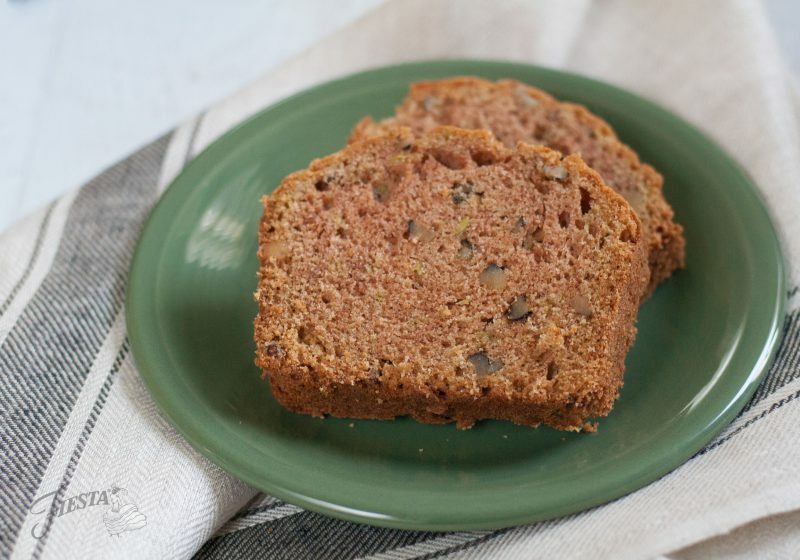 But, then again, we love the excuse to bake a few loaves of this hearty zucchini bread. This recipe, adapted from James Beard, has a delightful texture and just the right amount of sweetness, and the best part is it makes two loaves. Share a loaf with a friend or simply freeze for a treat later on. We like to bake ours in the Fiesta Loaf Pan for that extra flair. Beat eggs until light and starting to foam. Add in sugar, oil, shredded zucchini, and vanilla extract and mix to combine. In a separate bowl, mix together flour, salt, baking powder, and cinnamon. Add to the egg mixture and mix well until blended. Add chopped walnuts and stir gently, then pour into the two loaf pans. Bake for one hour or until a toothpick inserted in the center comes out dry. 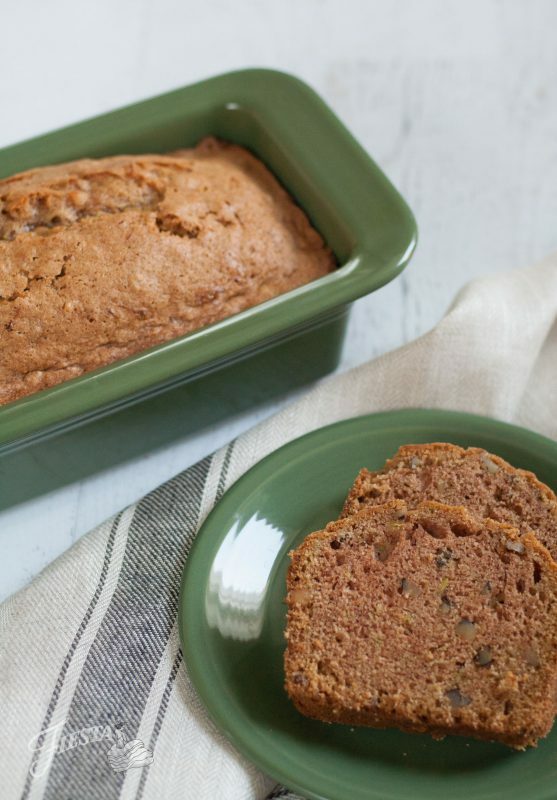 Are you a zucchini bread fan? What special mix-ins do you like to put into your loaves? Let us know in the comments! We love hearing from you.